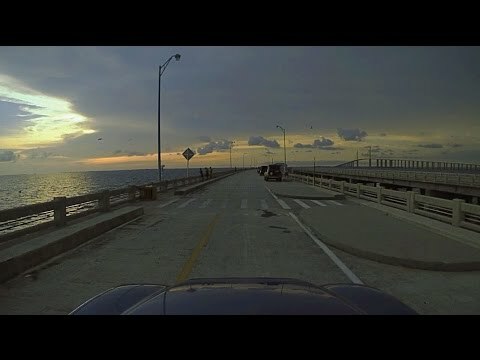 This quick drive takes you across the Sunshine Skyway Bridge, then out to the end of the South Fishing Pier. This pier used to be the southern approach to the old Skyway Bridge, which was replaced after a tragic accident in 1980, when a ship struck one span of the old bridge, causing it to collapse. The north and south approaches remain, as fishing piers, and for a small fee you can drive out to the end and enjoy some spectacular views.